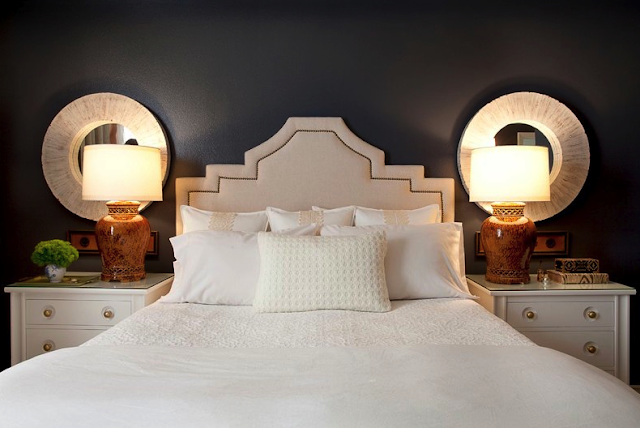 love the dark bedroom, dramatic and very inviting! Also love the the wall sculpture in the office! 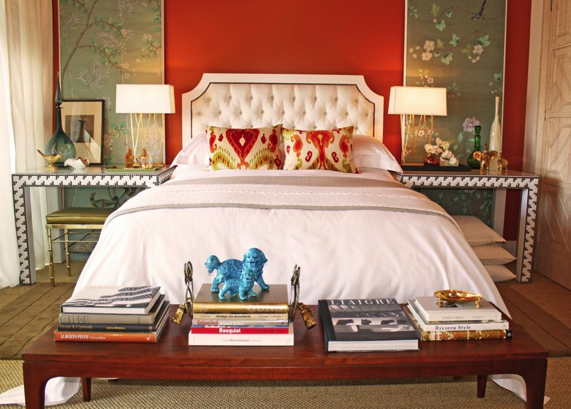 Oh, I LOVE the little office space, and the red bedroom--so beautiful! I wish my house looked like that! Oh how I love them! They're so good. Thanks for sharing sweetie! can i be more like you? i love your blog! so fresh. 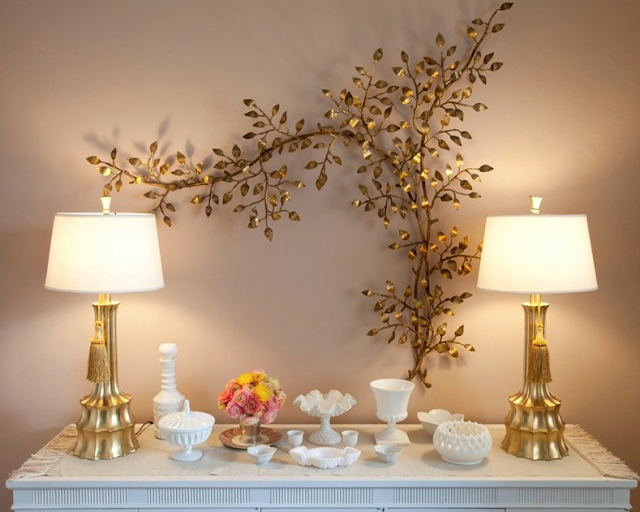 I'm loving the brass wall sculpture - so beautiful against that fleshy colored wall! Love the inspiration! As always I can't wait to see updates of what has been happening around the Man-z. LOVE IT ALL! That office is perhaps my favourite one of all time. And those chairs in the second shot...sigh gorgeous. Thank you for the pretty- so what I needed!! Gorgeous. They are so incredibly talented. All of it!!! Save file. 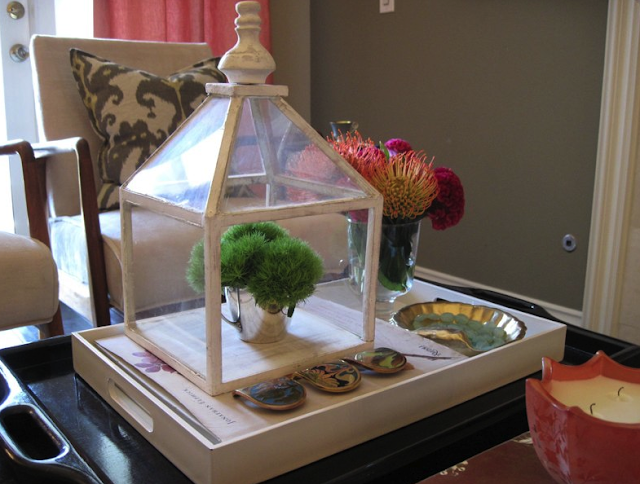 Lovely lovely spaces!! Can't pick a favourite...so many beautiful colours and pieces! I seriously would live in all of those rooms! They are quickly becoming my faves! 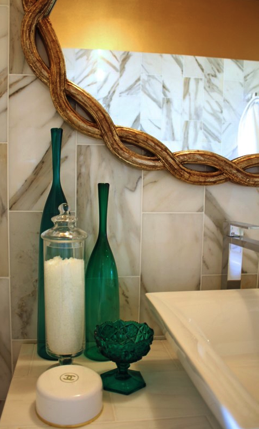 The twisty bathroom mirror has a special place in my design heart! Gorgeous, beautiful, i love it! Lovely inspiration. That first bedroom is my favorite! Beautiful! 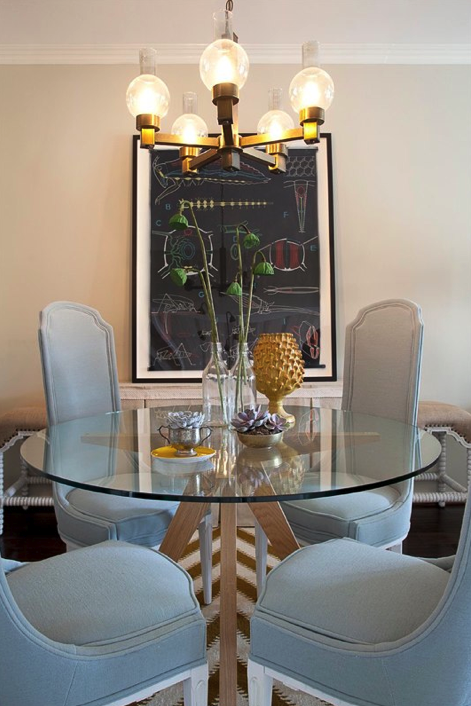 Great art in that dining area. LOVE it all..you have such impeccable taste. 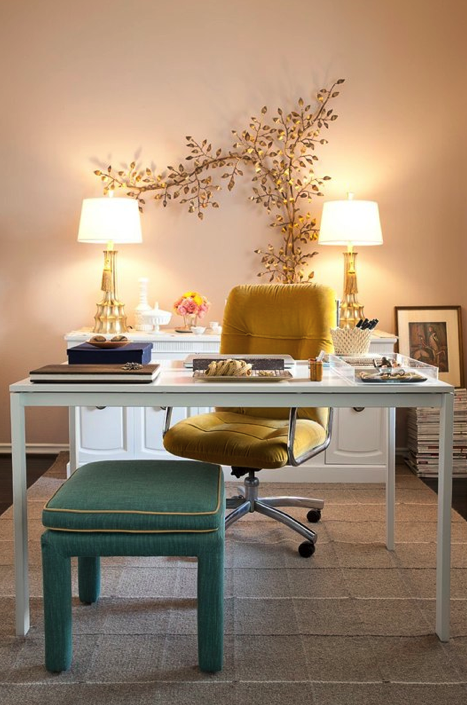 Lovely images as always and a good reminder that I need to give my home office a serious makeover. Pure gorgeous-ness. These ladies have imeccable taste and every room speaks to me!! L-O-V-E the books at the end of the bed. I have a small chest at the end of mine, and now I feel inspired to decorate and change it up a bit! Stunning! I love the floral metal art behind the desk, I've been looking for something like that for a bathroom. You are super stylin...I love your blog and look forward to following! Simply beautiful! You always find the most inspiring decor! Happy Friday Erica! Gorgeous spaces. Unexpected & sophisticated. I'd love to go to sleep and wake up in that red bedroom every day. I remember that office. Totally made me rethink 60s brass wall sculpture. 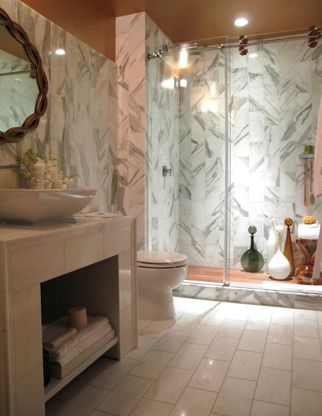 Oh that bathroom is especially gorgeous! Love the marble detail and dark green accents!! !